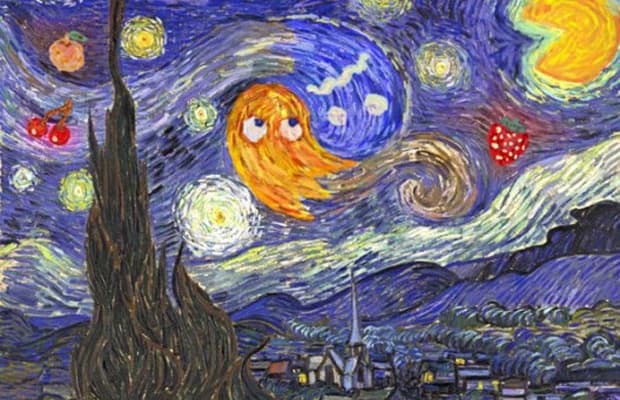 Don&apos;t front like the greatest intersection of your interests isn&apos;t a place where Pac-Man and van Gogh meet. Artist Noah Gibbs made the connection real by adding a Pac-Man character with motifs from the game. Can you spot the details within the swirls? Props to Gibbs for the awesome swirl details.